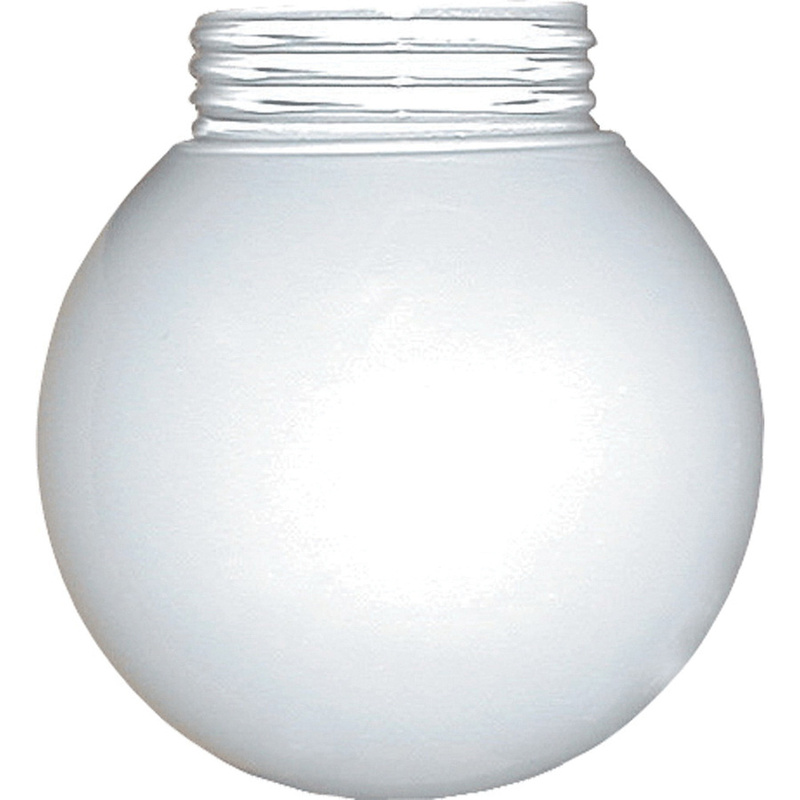 Rab Ball globe in opal white color, features unbreakable, clear polycarbonate threaded construction with thermal shock resistance. Ball globe has a dimension of 6-Inch Dia x 6-1/4-Inch. It is great for use on 100 series vaporproof fixture.